​​​ HOUSTON – CBRE Global Investors (CBG) took a $70 million hit after completing its sale of the Marathon Oil Tower to Baupost Group and local firm M-M Properties. The nearly 1.2 million-sf, 41-story, Class A office tower sold for $175 million, or approximately $146 per sf. 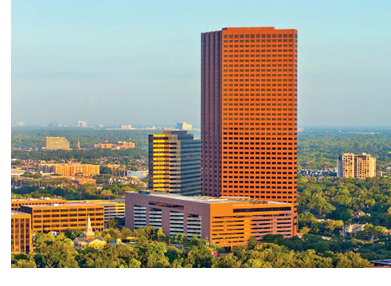 ​Marathon Oil Tower is located at 5555 San Felipe St. in Houston's Galleria and is 90 percent leased. CBG paid nearly $245.5 million for the office tower that serves as Marathon Oil Corp.'s global headquarters in late 2013.